Lok Sabha Election 2019 India LIVE News: Prime Minister Narendra Modi will be addressing two public rallies in Gujarat and Goa, while Rahul is also scheduled to hold two rallies in Bihar and West Bengal. 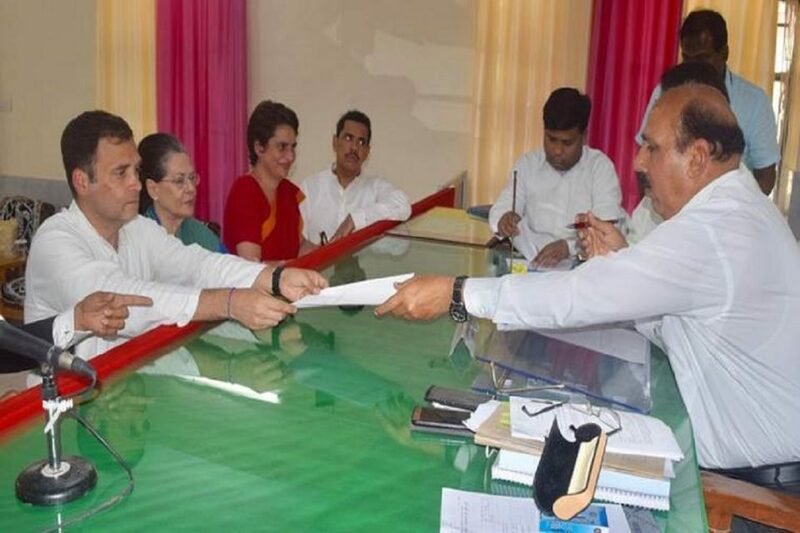 Election 2019 India LIVE News: Congress Chief Rahul Gandhi today filed his nomination from Uttar Pradesh’s Amethi, with his mother and UPA chairperson Sonia Gandhi, sister Priyanka Gandhi and brother-in-law Robert Vadra by his side. He held a roadshow from Munshiganj-Darpipur to Gauriganj before filing the nomination. Rahul is also scheduled to hold two rallies in Bihar and West Bengal. Meanwhile, Prime Minister Narendra Modi in his address in Gujarat’s Junagadh today accused the grand old party of “Tughlaq road election scam” where money meant for poor, pregnant women was looted from people. He also took a dig at the I-T raids that were conducted on Madhya Pradesh Chief Minister Kamal Nath’s aides, saying after Karnataka, Madhya Pradesh has become the new ATM for the Congress. Modi will later address a meet in Goa, while BJP chief Amit Shah will hold two public meetings in Uttar Pradesh and a road show in Bengaluru. Yesterday, PM Modi had held rallies in Karnataka, Maharashtra and Tamil Nadu, where he said: “We were, are, and will always remain nationalists”. While Rahul Gandhi took on the PM saying he is “not only a thief but also a coward” who avoids a direct debate.